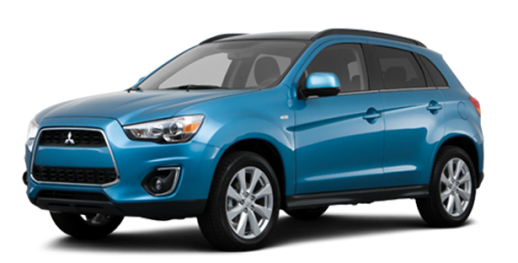 A better vehicle than the last model, the redesigned-for-2008 Outlander is based on the Lancer platform and uses two engines this time around, namely a 2.4-litre four-cylinder mated to a CVT automatic, and a 3.0-litre V6 mated to a six-speed automatic. The all-wheel-drive system distributes power as needed under various conditions and also with a 4WD Lock mode, but it does not have the equipment to be a serious off-roader. Basic features include an AM/FM radio cassette player with a six-CD changer and 4 speakers, dual front airbags, ABS with EBD and Brake Assist, power steering, power windows, cloth upholstery, central locking, keyless entry, 16-inch alloy wheels and power mirrors. The higher models can be optioned out with cruise control, 18-inch alloys, Rockford Fosgate stereo with 6-CD changer and 9 speakers, full keyless system, leather steering wheel with audio controls, rear parking sensors, paddle shifters and faux leather seats. Only the five-seater version is sold in the GCC.